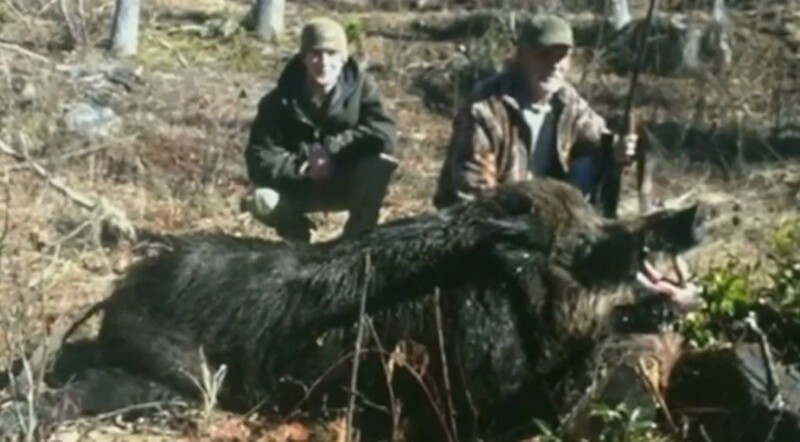 A man just shot his way into the record books after bagging a 707 pound wild hog while hunting in Transylvania County, North Carolina. Bruce Florence and his son Jonathan were on a hunting trip when they came across the massive beast. Bruce only had one round in his gun. He made it count. Bruce and his son then dragged the massive Russian Razorback to his pickup truck. The mammoth animal is now helping feed his family. “Last Saturday morning I ate tenderloin at 9:00am and by Saturday afternoon I was eating sausage,” Bruce said. North Carolina, along with many other states, does not maintain records when it comes to feral hogs. National Geographic says wild hogs rarely exceed 500 pounds. There have been claims of bigger hog kills over the years in other states, but most of those turned out to be hoaxes or domesticated pigs.